We are constantly making improvements to our website and online store. Often the changes are important and also transparent. Other times, we make big changes that improve the ease of use. Recently we added some subcategories that show our products based on function. For example, when you click on the category “Skin Therapies” there are subcategories for things like Eczema, Psoriasis etc. When we made this change, you responded with a request for more functionality in the search function. We have now added a technology called “Predictive Search” that monitors and chronicles search activity. 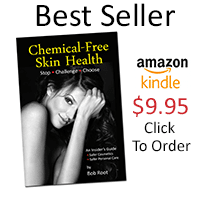 It learns habits as people ask question in the search box on our store. Here is an example of how it works. In the upper right corner of the store, there is a search box as pictured here. As you begin to type, once options are triggered withing the artificial intelligence system, search options will appear. 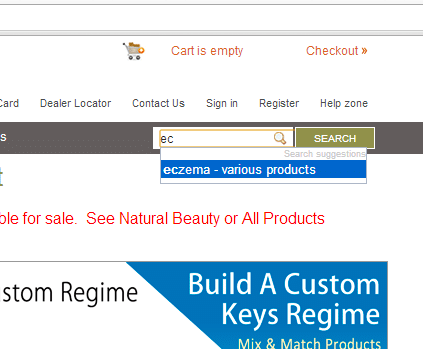 As you can see, the letters e and c bring up the condition, “eczema.” Clicking on that brings up a product search showing products related to eczema. Another search might bring up a reference to an article in Clean Green Cafe or another might show an article in an industry publication. The system is new and being populated with data and information that will grow it daily. So, search away with the knowledge that our new predictive search will get smarter as people us it.